So far, Humans have harnessed the strength of the sun, water, and wind to generate clean electricity. Now, it may be time to take advantage of the earth’s capacity to provide renewable power. An interdisciplinary panel from MIT estimated that the United States could potentially produce 100,000 megawatts of geothermal energy within the next 50 years. The report estimates that 200,000 exajoules of energy could be captured from EGS (enhanced geothermal systems) by 2050 in the US alone – that’s roughly 2,000 times the total consumption of the country in 2005. 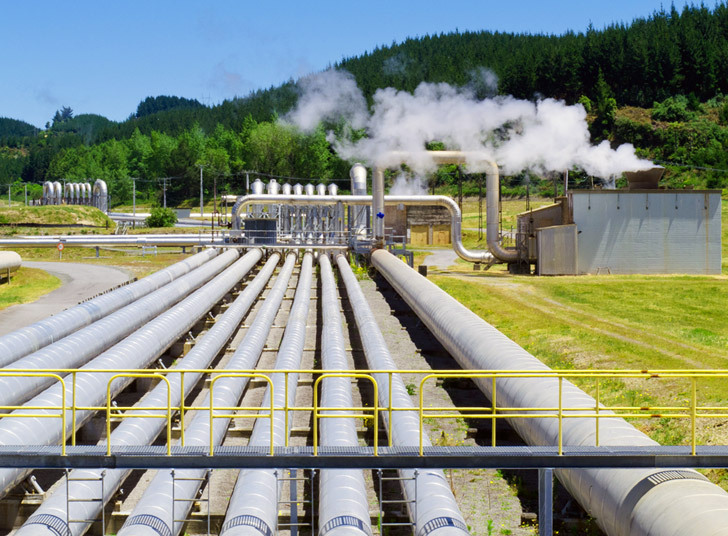 At a time of record gas prices and climate concerns, tapping into geothermal energy contained within the earth’s crust has become an attractive alternative. While solar and wind technologies are inconsistent due to their reliance on the weather, geothermal can produce power nearly 24/7 at a rate that outperforms some coal plants. The infrastructure requires less land than solar or wind, and it’s not as harmful to wildlife. Most techniques rely on large amounts of water, which is heated deep underground in order to create steam that turns turbines. Instead of sooty smokestacks, emissions consist primarily of water vapor. 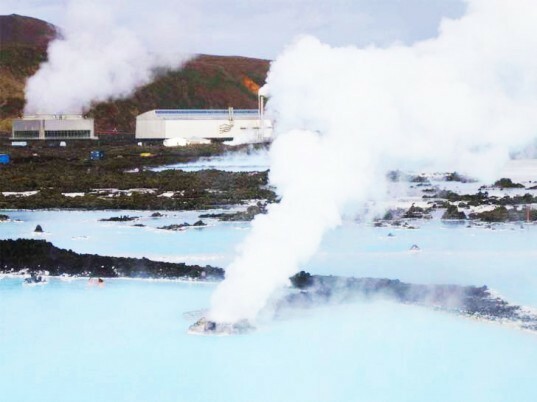 In a country that boasts numerous volcanoes, geysers, and hot springs, geothermal plants could become a viable domestic option for the production of power. Currently, the United States and Iceland have large plants in the planning stages, and demonstration structures are popping up in France and Germany. Most of the hurdles facing the development of EGS consist of creating or retrofitting infrastructure, cost of production, and manufacturing pumps capable of handling high volumes water. At present, geothermal energy costs somewhere between ten cents to a dollar per kilowatt hour, depending on the terrain and operating system of where it is produced. While this is higher than the 6 cents per kilowatt hour for coal, the price gap may start to lessen if cap-and-trade policies go into effect. Considering the impact of fossil fuels on the environment and the costs associated with health and climate change, EGS may eventually become a lot cheaper. While large-scale EGS may be 40 years away, organizations such as Google.org, the philanthropic branch of the Internet giant, have already committed $11 million to the development of the technology. California and Nevada appear to be the most promising sites, but there are numerous locations across the country ready to become part of the movement. The article mentions costs, but fails to balance the REAL costs of carbon fuels, including the cost of displacing millions, perhaps hundreds of millions or more people and building flood protection systems to defend cities from rising seawaters, the costs of multi-trillion-dollar wars over carbon fuel regions and transport corridors, the costs of diseases migrating from tropical regions as the planet warms, and the costs of respiratory illnesses from burning carbon fuels. On balance, 24/7 geothermal energy is a deal. i "could" get energy from plain water. water is the "loosest" most flexible molecule on the planet. it is subject to simple and common forces. prime with alt fuel then once started, you just need more water as fuel. it will produce electricity with a magnetic field, not oxidation/combustion. it doesnt take a genius. it just takes seeing relationships and a little creativity. its a russian thing. If we find geothermal sources on Mars, along with the water we already know is there, then setting up low cost human settlements will be relatively easy.